There are numerous bird species that can be classed as a pest or nuisance. 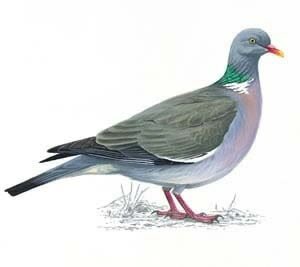 Gulls, feral and wood pigeons, geese, sparrows and starlings, doves, crows, herons and cormorant magpies. The trouble is they are all protected by a massive list of regulations and acts. Fortunately there are some relaxations of these acts and some licenses and authorisations which allow the control of some species. As with any pest controller you must first identify the species causing the problem, and also any other species present which might not be a problem. Assess the damage or potential damage or nuisance, is the problem caused by feeding, nesting or roosting? This is important as it will guide the management of any control method. It is also important to consider the possible adverse attitude from the public or even staff within any premises to be treated. Control or management of bird problems can take many forms, netting, spikes, wires, gels, repellants, and scaring devices, shooting and falconry. Please contact us to discuss or arrange a site visit.